Spotted: China’s Chengdu J-20 Stealth Fighter? 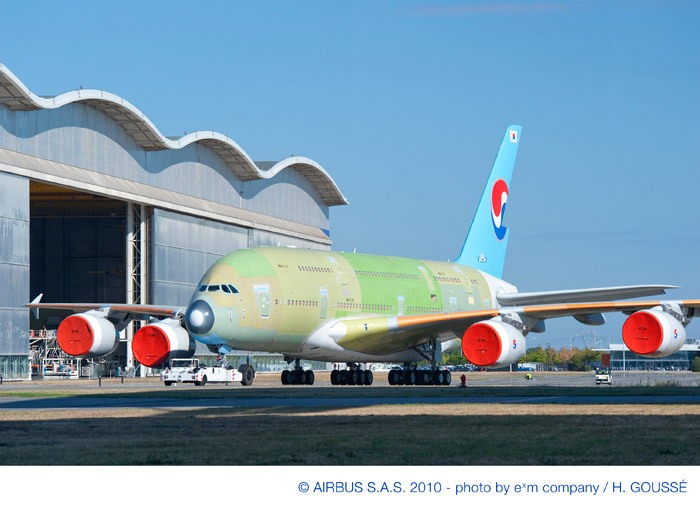 Today the first Airbus A380 for Korean Air (MSN035) has been rolled out of the Airbus paint shop in Hamburg. The aircraft is the first of 10 A380s ordered by the Asian airline. 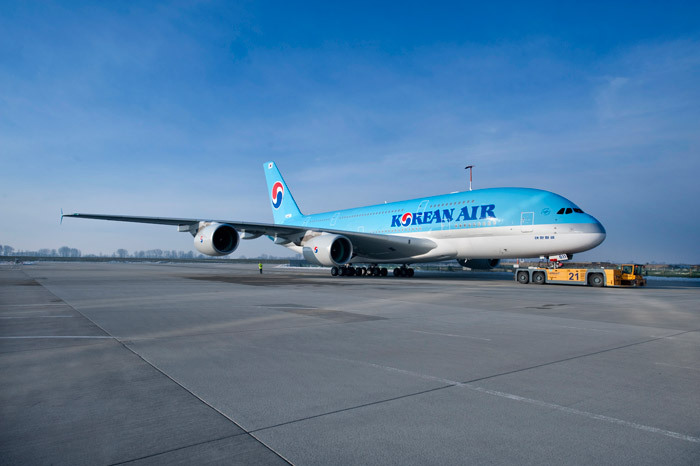 Korean Air will become the sixth operator of the A380 when it takes delivery in the second quarter of this year. As we all know, the guys at Boeing are a bunch of whiners when it comes to topics regarding its rival Airbus. At least since the tanker-fight and the latest WTO dispute they don’t pass up the chance to release statements with nothing but hot air and made-up “facts”. But now Airbus has jumped on the bandwagon as well. 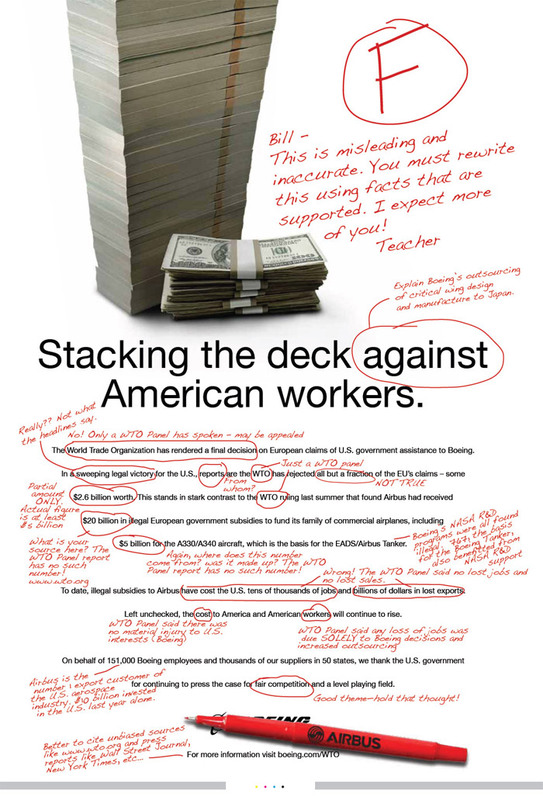 According to SeattlePi the European plane maker just released this ad, “correcting” a misleading Boeing ad regarding the WTO findings on illegal subsidies that was released earlier, giving its American rival an “F”. Currently Airbus is developing an alternative that, in near future, could replaces the use of jet engine thrust during ground taxiing with electrical power. 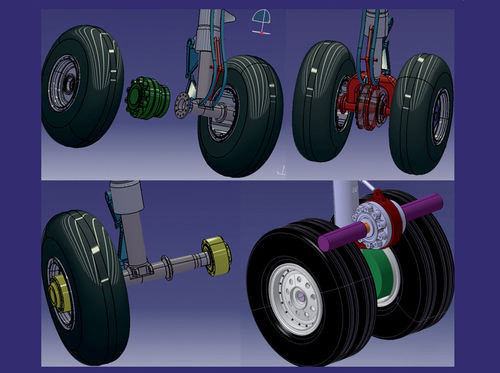 The solution is simple: an electric actuator, powered by the aircraft’s APU, drives the landing gear’s wheels. Fuel consumption is expected to be five times less than it would be with engine power – saving as much as 200 kilogrammes of fuel per flight. In addition, this alternative delivers a feature much requested by airlines, providing greater autonomy at push-back from the boarding gate as no tug is required. Design and implementation for the project, a transversal process involving Airbus’ Engineering and Procurement department, is progressing in two concurrent stages. The demonstration phase is scheduled to close in 2012 with completion of the prototype electric wheel actuator. In parallel, the modified APU and power systems will be tested on the Airbus electrical test bench, with full-scale rolling tests to begin in 2013. If all goes as planned, initial flight tests will take place in 2014. On Monday Airbus announced its 10,000th order with a firm contract from Virgin America for 60 A320s, including 30 A320neo aircraft. This is the first firm order for the A320 new engine option; therefore Virgin America becomes the launch customer for the A320neo. This formalizes and expands an initial commitment given at the Farnborough International Airshow in July 2010 with the inclusion of the A320neo as a new development in that deal. The 30 A320s will feature fuel-saving large wing tip devices called Sharklets. 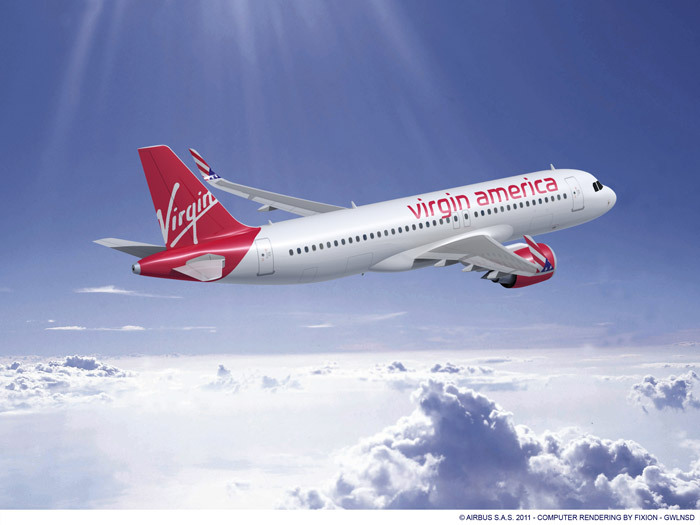 Virgin America has not yet announced its engine choice on the newly ordered A320s or the A320neo. Seating configuration on the aircraft will be the same as its existing A320 fleet (146-149 seats) in a two-class configuration. The A320neo responds to heightened customer environmental interest, offering a 15 percent reduction in fuel consumption. The option was launched in late 2010 for first deliveries in early 2016. Airlines have the choice between CFM International’s LEAP-X engine and Pratt & Whitney’s PurePower PW1100G engine. Each variant of the A320neo incorporates Sharklet wing tip devices. In addition to fuel savings, the A320neo will benefit from a double-digit reduction in NOx emissions, reduced engine noise, lower operating costs and up to 500 nautical miles more range or two metric tons more payload. The A319, A320 and A321 models on which the new engine option is offered will have 95 percent airframe commonality with the A320 Family, thus the A320neo will fit seamlessly into the existing Virgin America fleet. Since the first Airbus aircraft went into service in 1974 with Air France, Airbus has seen sales of its aircraft grow steadily. By 1989, after its first 15 years in operation, Airbus had sold 1,000 aircraft. Less than half that time again, just seven years later in 1996, sales had risen to 2,000. Sales of Airbus aircraft had reached 3,000 in 1998, again cutting the time it took to sell another 1,000 planes by more than half. And by 2000 a total of 4,000 aircraft had been sold to the market. Today a preliminary report on Qantas flight QF32 (Airbus A380 VH-OQA) was released by Australian Aviation Safety Bureau (ATSB). 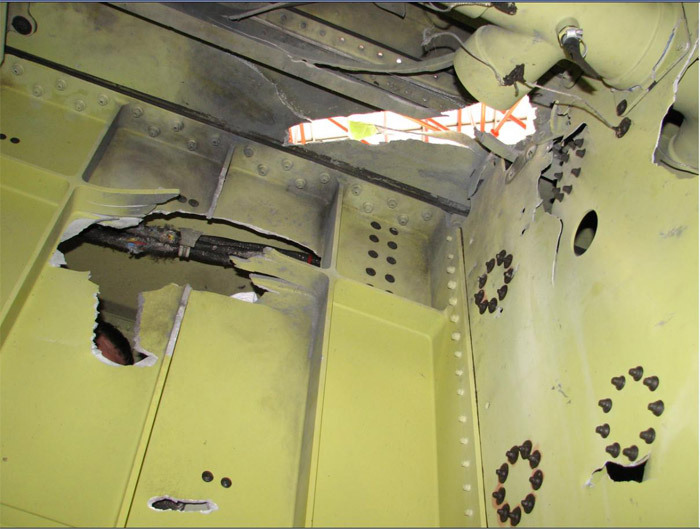 On 4 November the flight sustained an uncontained failure of the Intermediate Pressure (IP) turbine disc on engine No 2. The crew reported that, while maintaining 250 kts in the climb and passing 7,000 ft above mean sea level (AMSL), they heard two, almost coincident ‘loud bangs’. Electronic Centralised Aircraft Monitor (ECAM) system displayed a message indicating an “overheat” warning in the No 2 engine turbine. Soon after, multiple ECAM messages started to be displayed. The PIC confirmed with the flight crew that he was maintaining control of the aircraft and called for the commencement of the requisite ECAM actions by the FO in response to those messages. Flight crew did not receive confirmation that the fire extinguisher bottle had discharged. They repeated the procedure for discharging the fire extinguisher and again did not receive confirmation that it had discharged. Crew followed the procedure for discharging the second fire extinguisher bottle into the No 2 engine. After completing that procedure twice, they did not receive confirmation that the second bottle had discharged. Continuation with engine failure procedure, which included initiating an automated process of fuel transfer from the aircraft’s outer wing tanks to the inner tanks. Customer service manager (CSM) attempted to contact the flight crew, including through use of the EMERGENCY contact selection on the cabin interphone system. This activated the flight deck warning horn. No associated ECAM message was displayed, the flight crew associated the emergency contact warning horn with the continuously-sounding warnings from the ECAM system and cancelled the horn. Second Officer (SO) was dispatched into the cabin to visually assess the damage to the No 2 engine; a passenger, who was also a pilot for the operator, brought the SO’s attention to a view of the aircraft from the vertical fin-mounted camera that was displayed on the aircraft’s in-flight entertainment system. That display appeared to show some form of fluid leak from the left wing. SO proceeded to lower deck on the left side of the aircraft to observe damage to the left wing and fuel leaking. The fluid leak appeared to be coming from underneath the left wing, in the vicinity of the No 2 engine and that the fluid trail was about 0.5 m wide. The SO could not see the turbine area of the No 2 engine from any location within the cabin. SCC and PIC made a number of public address (PA) announcements to the passengers indicating that the aircraft had sustained a technical failure, and that the crew were addressing the issues associated with that failure. Subsequently, the SCC and SO returned to the cabin on numerous occasions to visually assess the damage on the left side of the aircraft, and to inspect the right side of the aircraft, and to provide feedback to the cabin crew and passengers. It took about 50 minutes to complete all initial procedures associated with ECAM messages. During that time, the autopilot was engaged. They assessed the aircraft systems to determine those that had been damaged, or that were operating in a degraded mode. They considered that the status of each system had the potential to affect the calculation of the required parameters for the approach and landing. The crew also believed that the failure may have damaged the No 1 engine, and they discussed a number of concerns in relation to the lateral and longitudinal fuel imbalances that had been indicated by the ECAM. Input of affected aircraft systems into landing distance performance application (LDPA) to determine the landing distance required for an overweight landing to runway 20C at Changi Airport of about 440 t, which was 50 t above the aircraft’s maximum landing weight. Based on the initial inputs to the LDPA by the flight crew, the LDPA did not calculate a landing distance. After discussion, and in the knowledge that the runway at Changi was dry, the crew elected to remove the inputs applicable to a landing on a wet runway and re-ran the calculation. This second calculation indicated that a landing on runway 20C was feasible, with 100 m of runway remaining. The crew elected to proceed on the basis of that calculation and advised ATC to that effect. Crew advised ATC that they would require emergency services to meet the aircraft at the upwind end of the runway, and that the aircraft was leaking fluid from the left wing that was likely to include hydraulic fluid and fuel. Crew was aware of: reverse thrust was only available from the No 3 engine, no leading edge slats were available, there was limited aileron and spoiler control, anti-skid braking was restricted to the body landing gear only, there was limited nosewheel steering and that the nose was likely to pitch up on touchdown. An ECAM message indicated that they could not apply maximum braking until the nosewheel was on the runway. The PIC was aware that accurate speed control on final would be important to avoid either an stall condition, or a runway overrun. Consequently, the PIC set the thrust levers for Nos 1 and 4 engines to provide symmetric thrust, and controlled the aircraft’s speed with the thrust from No 3 engine. Autopilot disconnected a couple of times during early part of approach as the speed reduced to 1 kt below approach speed. 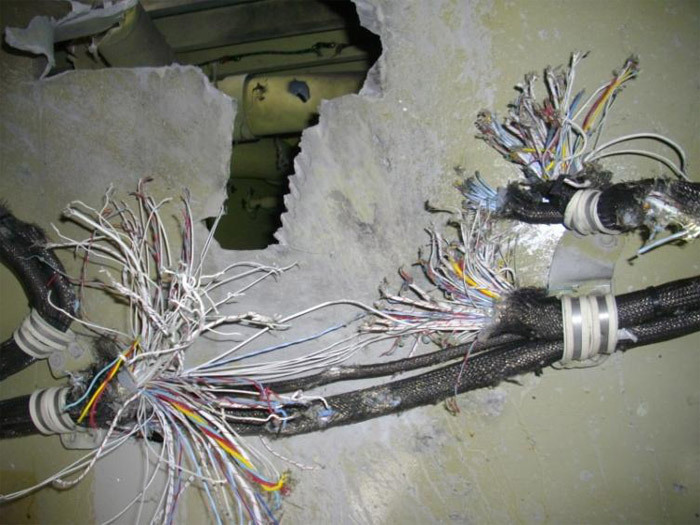 The PIC initially acted to reconnect the autopilot but, when it disconnected again at about 1,000 ft, he elected to leave it disconnected and to fly the aircraft manually for the remainder of the approach. Due to the limited landing margin available, the CC reminded the PIC that the landing would have to be conducted with no flare and that there would be a slightly higher nose attitude on touchdown. Aircraft touched down, the nosewheel touched down within about 6 seconds, the PIC commenced maximum braking and selected reverse thrust on No 3 engine. The flight crew observed that the deceleration appeared to be ‘slow’ in the initial landing roll, but that with maximum braking and reverse thrust, the aircraft began to slow. The PIC recalled feeling confident that, as the speed approached 60 kts, the aircraft would be able to stop in the remaining runway distance. In consequence, the No 3 engine was gradually moved out of maximum reverse thrust. Manual braking was continued and the aircraft came to a stop about 150 m from the end of the runway. The aircraft was met by emergency services. After landing, crew commenced to shut down the remaining engines. When the final engine master switch was selected OFF, the aircraft’s electrical system went into a configuration similar to the emergency electrical power mode. That rendered many of the aircraft’s cockpit displays inoperative, and meant that there was only one very high frequency (VHF) radio available to the crew. Just before the cockpit displays went blank, a number of the flight crew noticed that the left body landing gear brake temperature was indicating 900 °C, and rising. After some initial confusion about which radio was functioning, the FO contacted the emergency services fire commander, who asked for the No 1 engine to be shut down. The FO responded that they had done so already, but was advised again by the fire commander that the engine continued to run. attempts were made to reconfigure the transfer valves in the aircraft’s external refuelling panel, in an effort to transfer fuel out of the No 1 feed tank, and starve the No 1 engine of fuel. However, due to the lack of electrical power, that was not possible. Finally, the decision was taken to drown the engine with fire-fighting foam from the emergency services fire vehicles. The No 1 engine was reported to have finally been shut down about 2 hours and 7 minutes after the aircraft landed. 55 minutes after landing – after the fire risk had decreased – passengers disembarked via stairs on the right side of the aircraft, using only a single door (No 2 main deck forward door), to keep remaining doors clear in case of the need to deploy the escape slides. Referring to the uncontained engine failure of an Qantas Airbus A380 on November 4, the European Aviation Safety Authority (EASA) today issued an Airworthiness Directive for all Rolls-Royce Trent 900 engines. This applys to RB211 Trent 900 series engines, variants RB211 Trent 970-84, RB211 Trent 970B-84, RB211 Trent 972-84, RB211 Trent 972B-84, RB211 Trent 977-84, RB211 Trent 977B-84 and RB211 Trent 980-84, all serial numbers. 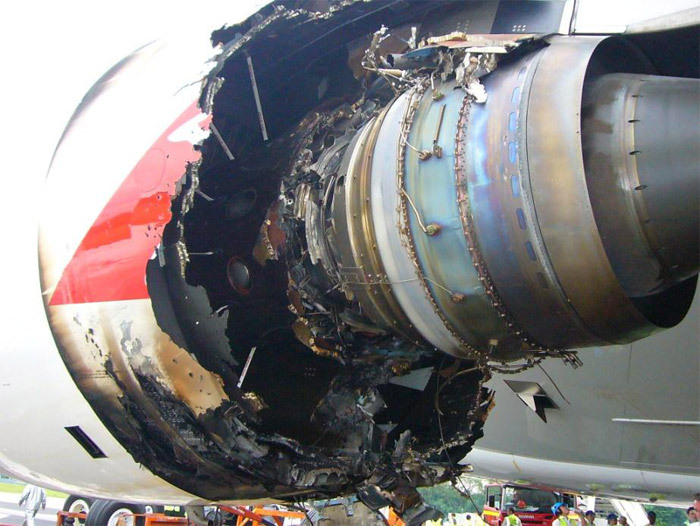 According to EASA, analysis of the preliminary elements from the incident investigation shows that an oil fire in the HP/IP structure cavity may have caused the failure of the Intermediate Pressure Turbine (IPT) Disc. This airworthiness directive requires repetitive inspections of the Low PressureTurbine (LPT) stage 1 blades and case drain, HP/IP structure air buffer cavity and oil service tubes in order to detect any abnormal oil leakage, and if any discrepancy is found, to prohibit further engine operation. While Qantas is committed to bringing its A380s back into service as soon as possible, the Australien flag carrier updated its schedule for its international network to ensure minimum disruption to passengers after the grounding of its Airbus A380 fleet. Boeing 747s have been replaced by Airbus A330s on the Sydney to Narita route and A330s have been replaced by B767s on Perth to Singapore services. B747s have also been replaced by A330s on the Sydney to Hong Kong route. These changes will enable Qantas to operate 747s on long-haul international services previously operated by the A380. Qantas today announced that their Airbus A380 fleet remains grounded for at least another 72 hours and will not return to service until the engine issues have been identified and resolved. Qantas is continuing an intensive inspection program on all Rolls-Royce engines in its A380 fleet. 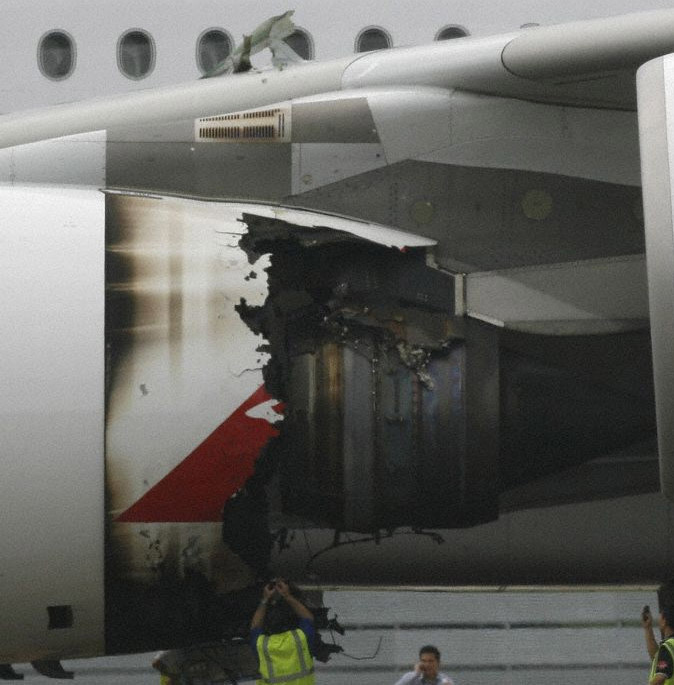 As part of their investigation, Qantas engineers have removed a number of engines to undertake further examination. The focus of the investigation has been narrowed to the possibility of an oil leakage in the relevant turbine area. 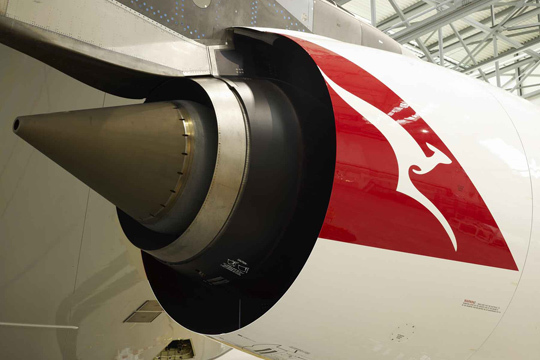 These inspections are taking place in Sydney and Los Angeles with Qantas engineers working closely with Rolls-Royce, as well as Airbus and Australian regulators. Qantas has scheduled extra services from Los Angeles to ensure passengers affected by the suspension of A380 operations are returned to Australia as soon as possible. The backlog of passengers in Los Angeles is expected to be cleared by last departure from Los Angeles on 8 November with all passengers accommodated on specially chartered relief flights and across scheduled services. A Special Assistance Team has been deployed to Los Angeles to assist. Hotel accommodation, meals and international phone calls have been provided for passengers impacted by the A380 disruptions. Qantas will provide compensation for customers who have experienced delays. 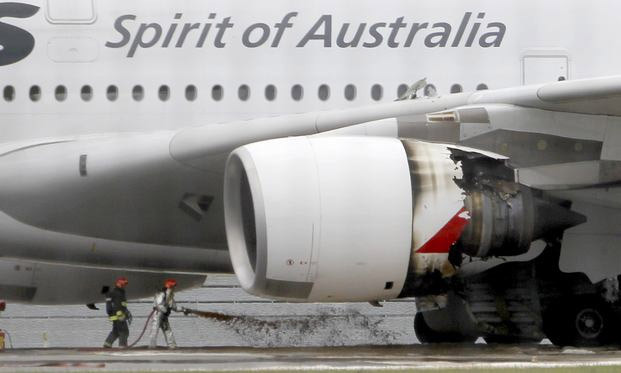 Today Qantas flight QF32, an Airbus A380-842, experienced an uncontained engine failure after take-off from Singapore. It performed a turn back and landed safely back in Singapore Changi. 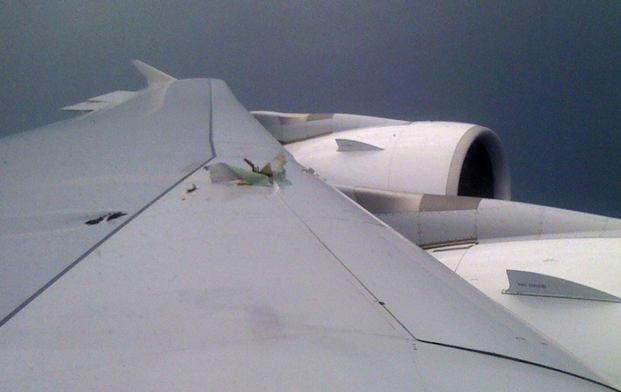 Parts of debris of affected engine number 2 punctured the left wing. 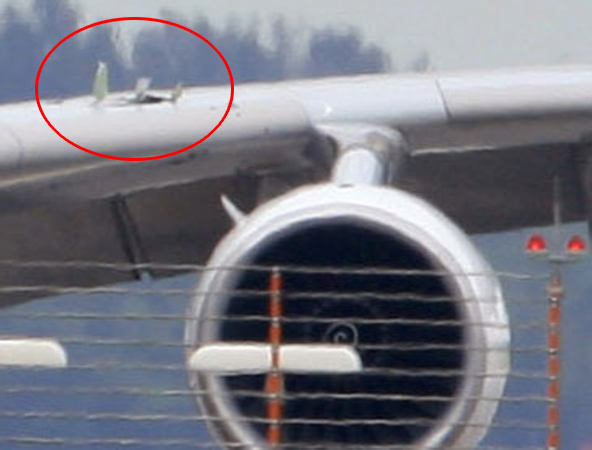 The plane landed with opened landing gear doors as well as undeployed leading edge flaps – suggesting an emergency deployment of the landing gear or some kind of hydraulic or electrical issue caused by debris. According to sources engine No1 was producing significant thrust after the plane stopped and was not controllable from the cockpit. The plane involved is VH-OQA, MSN 14. It was delivered to Qantas on 19th September 2008 and had logged around 8165 flight hours and 831 flight cycles as of today. It is powered by Rolls-Royce Trent 900 engines. Qantas grounded its A380 fleet until sufficient information has been obtained about what occurred on QF32. Rolls-Royce has recommended immediate checks of its Trent 900 engines. Singapore Airlines, another operator of the Trent 900 engine, have announced that their A380 flights will be delayed as result of these inspections. Lufthansa sees no impact on its A380 flight schedule. 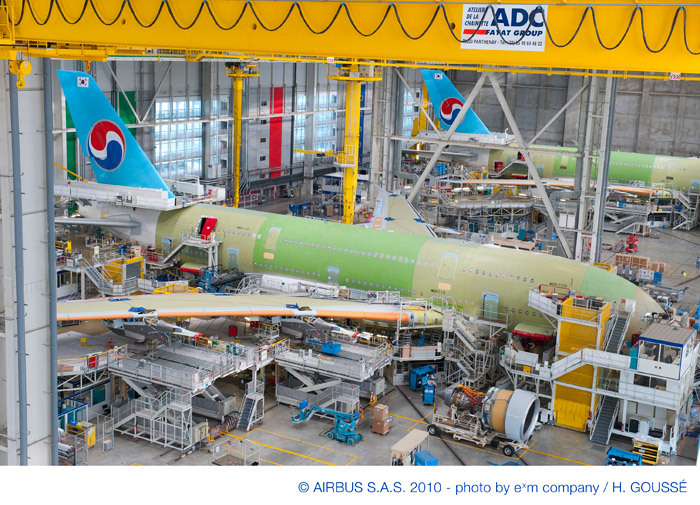 Airbus A380 production moves ahead with the next new operator of the A380 – Korean Air. Four A380s for Korean Air are now in production. The first aircraft is currently being prepared for its maiden flight, with the second and third aircraft now positioned next to each other in the main assembly hall. Meanwhile the joining of the wings and main fuselage sections of the fourth aircraft has just been completed. First delivery is scheduled for May 2011 with the next three following in June, July and August. From 2012-2014, additional aircraft will be introduced, bringing the total to ten. Korean Air will be the first Asian airline to use the aircraft on transpacific routes between the US and Asia. The double-decker airplane will be outfitted with between 400 and 450 seats, making it the most spacious A380 anywhere. Korean Air will be the 6th carrier to introduce the A380 into its fleet. In case you haven’t notice yet, after 41 years Airbus recently changed its logo! If you ask me, it looks quite immature, way too Web2.0-ish. Nothing to represent an established 40 year old company. The old one was far more confiding. I don’t like it at all. Airbus unveiled this new branding a few days ago. The new logo retains the original ball-shaped symbol that denotes its expertise as world-leading aircraft manufacturer, while incorporating the modernised typeface adopted by the company’s EADS corporate parent. This marks the first updating of Airbus’ logo since the company’s creation in 1969, and provides a fresh look as it prepares for the future, according to Airbus President and CEO Tom Enders. The ball-shaped logo is composed of two sets of three curved lines that join at an imaginary horizon line, which represents the unification of Airbus’ founding companies to create what has become one of the world’s top providers of commercial jetliners and military airlifters. Airbus’ new brand identity will be introduced in a phased approach, beginning with brand collateral that includes its Website and advertising.